Hamburger SV have signed Italy Under-19 midfielder Jacopo Sala on a three-year contract. Sala emerged from Atalanta Bergamo's youth system before making the switch to England at 15. 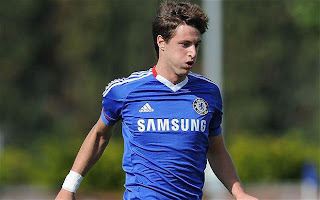 He played on the right of midfield for Chelsea's reserve side last season. "He has played through all the Italian youth teams and possesses outstanding physical and technical abilities," said Frank Arnesen, who took over at Hamburg after deciding not to renew his contract with Chelsea. It is the second transfer Arnesen has negotiated with his former club following the signing of England youth team international Michael Mancienne on Tuesday.